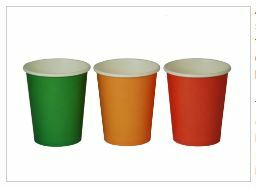 In some UK primary schools they are using coloured cups as a very simple and powerful tool to help teachers and learners to direct and measure their learning. Here is how it works. So this procedure offers the teacher an insight into how children are learning and how far they are being challenged. It helps the teacher to differentiate and cater for different learners in the group and fosters collaborative learning. In this way it supports the creation of optimum challenge or “flow” which I have referred to in The Developing Teacher (Foord, 2009). It also facilitates what Jim Scrivener and Adrian Underhill refer to as “high demand teaching” (see their blog). Equally importantly from the point of view of learner coaching it encourages learners to take a pro active role in the classroom, to see learning as something they do rather than something the teacher does to them. The teacher in this set up is manifestly a facilitator helping learners to move from red to orange to green and back to red again with something new. How can this work in the language classroom? In stages of the lesson where students are learning new language (doing some vocabulary, pronunciation or grammar work ) some clarification and controlled practice is followed by students displaying their cups (they needn’t be cups of course, any set of three distinct objects will do) and the lesson then proceding in one of the ways described above. It can also work in stages of the lesson where students are practising conversation more freely. After a group or pair work conversation activity students can be asked how well they feel they can have that conversation in English. Again, according to the cups on display, the teacher may decide to repeat the activity, or have some students repeat the activity and move others on to a new task. Of course many teachers do this kind of thing already without cups, by listening to and observing their students (monitoring), they can make individual interventions and pace the class accordingly. However in this scenario, all the responsibility lies with the teacher and in classrooms with inexperienced teachers or a lot of students (or both!) relying on the expertise of the teacher may not work. What the cups do is help leverage the expertise of the learners to maximise learning, great for coaches and great for learners. Has anyone used this approach or something similar in class? This entry was posted in Organising learning, Roles, Uncategorized and tagged classroom coaching, metacognition, self directed learning, teaching. Bookmark the permalink. Hello!I like the idea very much, but it doesn’t really work for my kids (they’re mostly 6 or 7). They just want to please me and they keep showing the green cup even if they don’t understand something. Or sometimes they want to be like their best friends and they show the same colour. I think the problem you have encountered because of the way children behave mirrors the comment by Angelina (see above), who talks about the cultural issues in students admitting that they don’t understand. In both cases, learners find it hard to be honest about their learning. I wonder if students ‘traffic lighting’ their understanding (or lack of it) in this way can come only after a teacher has successfully ‘trained’ her students to be more honest about their learning, or whether it can be part of the movement towards greater openness. What’s great is that you have found an alternative to test your kids’ understanding in the shape of ‘teaching time’. Lovely stuff! I have been using the cups for about 4 years down and use for AFL and also to keep pupils engaged and on task. When the pupils are working, they all start on green and if they get stuck they turn to amber. At this point we have the 4Bs in the classroom, brain, book, buddy, boss. They can then ask other students. especially those who are on green so that they can continue. I believe that students are the best teachers and they can learn a lot from each other. If after this they are still stuck they then turn to red and I can then see who needs my help and work with them. If it becomes clear it is a common problem I can stop the whole class or work with a small group. The students really love working this way and it allows a no hands rule and they continue to work and are on task. Thank you for giving us an insight into the ways the cups can be used. I’d love to hear more about the 4Bs, especially ‘buddy’ and ‘boss’ – what exactly are their roles from the pupils’ point of view? Thanks also for bringing AFL, or ‘Assessment for Learning’ to my attention – a scheme that promotes giving children more control in their own learning. Another question, if you don’t mind, Helen. I think I also speak for the blog’s co-writer, Duncan, when I say that the coaching ideas presented in this blog have been largely framed in terms of adults’ classes, but that we both feel instinctively that children can also benefit from a coaching approach. I don’t know whether you’ve explored the rest of the blog – how far do you take coaching with your kids? A really lovely – and simple! – idea, and a great way for learners to take responsibility for their own learning. But presumably they would need to have been nurtured in that system, comfortable in an environment where it’s ok to admit you don’t understand something. While the idea of not just learner autonomy but also of mistakes being an integral part of learning *is* growing in Asia (albeit very slowly), specifically Hong Kong, were we to adopt that system in primary schools here, you’d more likely see a sea of green cups regardless of whether they understood or not. It would be akin to asking that dreaded question “Do you understand?” and have some students gleefully shout yes, and the others mutely nodding along, strained smiles on their faces. Learners may not always be truthful, simply because they do not want to be seen as slower or less clever than their peers, or face possible ridicule. I imagine it would take a child with an extremely strong character to be one of a few learners (or even the sole one!) to hold up a red cup! Do we know how well this system is working in the schools in which it has been implemented? And thanks very much for taking the time to really consider the practicalities. You’re right – in some teaching environments where mistakes are seen as embarrassing (as much because they are seen to reflect poorly on the teacher as on the student) this idea will need to be adopted gently and with preparation. However, I’m wondering whether such a concrete embodiment of the idea that it’s OK to make mistakes, endorsed by the teacher with this very visual signal, will actually help learners to overcome their fears of embarrassment. I don’t work in such a culture, so I wouldn’t know, I’m afraid, but I’d be very interested to find out! That’s a wonderfully simple ‘flag’ that encourages learners to articulate their grasp of the lesson content, or lack of it, and shows how important it is to represent these abstract concepts of autonomy and learner control in concrete ways. The colour scheme is universally recognised, too. So straightforward. I wonder whether there are more ways we can think of ‘traffic lighting’ other aspects of learner coaching and learner autonomy. Turns out the Paper Cup Co. is involved! But you can see that they are clear to see and (presumably) cheap. This link also has some nice ideas about the practicalities of setting up the system with your class.